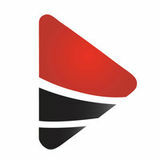 *The PowerView App and additional equipment required for programmed operation. © 2016 Hunter Douglas. All rights reserved. All trademarks used herein are the property of Hunter Douglas or their respective owners. offices: the Vernon headquarters, and branch offices in Prince George and Victoria. Owned, staffed and operated by professional geoscientists, engineers and biologists, Western Water Associates provides hydrogeology and environmental consulting services across B.C. and a few other Canadian Provinces and Territories. “We assist a wide range of clients throughout the entire Okanagan and beyond from our Vernon office,” says Doug Geller, who is the firm’s founding President. Geller, a professional & Appraisal Service hydrogeologist with about PROFESSIONALISM - HONESTY - INTEGRITY 30 years of experience, says it’s an extremely COMMERCIAL • INDUSTRIAL • PERSONAL interesting time to be Certified Appraisers • On-Site Specialists involved in the business of Personal Property - Machinery & Equipment water in British Columbia. We Buy & Sell Estates - Antiques - Foreclosures “Climate change, Wednesday Auction 6 P.M. continued population and PICKUP SERVICE economic growth, and 3311 - 28 Avenue, Vernon regulations mandating 250-545-3259 sustainable management www.doddsauction.com Est. of water are all adding 1973 up to a demand for our service,” he adds. diversified from its largely resource-dependent economy. “The growth of tourism, agriculture, wine and other industries wouldn’t happen without access to reliable water,” says Rhodes. Western Water Associates maintains a casual workplace environment. “We not only accept, we encourage our staff to get outdoors and to do good things in our community,” says founding partner Bryer Manwell. An environmental engineer, Manwell grew up in the oil patch of Alberta and moved to the Okanagan after completing her Master’s degree in the mid-2000s. She, along with Geller, Rhodes and others with the firm volunteer their time and expertise on a number of professional association boards, committees and non-profits and encourage the staff at Western Water to do the same. The Vernon office, as well as the other branch offices, are staffed with many people who grew up in the communities with Vernon boasting three born-and-raised Vernonites in its ranks. Lifelong Vernon area resident Trina Koch is the firm’s Senior Biologist. In the 2000s she worked as a water protection officer for the Ministry of Environment, later transitioning to consulting, starting with larger firms. With her degree in Freshwater Science from UBCO, she Ryan Rhodes quickly learned how much she enjoyed working with community groups. “I love how Western Water Associates has not only enabled me but encouraged me to work with local non-profits such as the Society to Protect Kalamalka Lake (now called Keep Kal Lake Blue),” says Koch, adding that with her previous jobs that probably would not have been possible without having to jump through a lot of hoops. Use the strength of our 20 lawyer firm for all of your legal needs. Proudly committed to our community for over 45 years. increase in townhome pricing could be due to sales of new, more upscale units or competition for relatively scarce units of this type, or a combination of both factors. “I imagine no one is surprised that single family unit pricing has, so far, stayed stubbornly consistent. Despite two-parent families with children consistently the largest group of home buyers in the region, we’re still lacking a supply of affordable single home units to meet their needs – a need that won’t be met through more government housing-related tax and stricter mortgage rules.” It’s important to take steps to protect your Both buyers and sellers can benefit interests and reduce risk from a real estate professional’s when making a financial skill and practice in negotiation. transaction as significant as buying or selling a home. Home sellers can benefit from the market knowledge and resources a local real estate professional can bring to bear in pricing the property and executing a marketing plan, including appropriately positioning the property on MLS and across multiple real estate portals. Home buyers can benefit from a local professional’s knowledge in evaluating properties for sale and ensuring an offer to purchase includes appropriate conditions and terms. Both buyers and sellers can benefit from a real estate professional’s skill and practice in negotiation. OMREB serves three diverse markets within the region: the Central Okanagan Zone (Peachland to Lake Country), the North Zone (Predator Ridge to Enderby) and the Shuswap- Revelstoke Zone (Salmon Arm to Revelstoke). For detailed statistics, by zone, visit www.omreb.com. does so much for this community, raising the funds that enable healing, support and nurturing, saving lives.” Lysyk decided to direct their gift to Women’s and Children’s Health Services after having a great experience at Vernon Jubilee Hospital when his daughter was born. “We were absolutely blown away by the care and compassion that we all received. Our clinic also helps many families, as our care is prevention-based. Kids are the most important patients we help.” Lisa Westermark, executive director of the Vernon Jubilee Hospital Foundation, thanked Arise Wellness and congratulated the centre on its anniversary. “We are delighted that Arise Wellness has including us in their anniversary celebration,” Westermark said. While people line up to order their coconut milk, ginger and turmeric smoothies and kale, quinoa and sweet potato salads, a young woman works quickly and quietly in the storeroom packing vitamin supplements for mail order clients. It’s a healthy place to be this Wednesday lunch hour at Nature’s Fare Markets in Vernon, in an environment where Solana White thrives as a welcomed and vital employee. Whether she’s on the floor stocking shelves brimming with organic produce, sweeping up, or greeting customers at the Apple Bistro, White has a way of brightening a mid-week workday, says her boss, Nature’s Fare store manager Tara Berger. “She’s such a bright light. I get comments all the time from my staff and customers on how they love her being here,” says Berger. Employed the past six months at Nature’s Fare, the 21-yearold Enderby resident is also a familiar face at Askews Foods in Armstrong, where she works part-time. White earned both jobs through one-to-one employment support from the WorkBC Employment Services Centre and its partner agency Kindale Developmental Association. Through partner agencies such as Kindale, Community Futures North Okanagan and WorkBC provide employment services for individuals with varying abilities. coaching, training, and general support while clients are learning on the job, so the burden is not all on the employers, says Sandaker. “We also work on areas specific to their place of work such as confidence building and specific skills. In Solana’s case it was matching the UPC barcodes with products on the shelf,” adds Alward. Employers Making a Difference While White has adapted well to her new jobs, it has helped that her employers have gone above and beyond in helping her succeed in a multitude of tasks. “An inclusive workplace is not just about creating a space, it’s also about having a mindset and saying ‘how do we get you there’ and going that extra mile. These employers are looking at Solana as a long-term hire and not just saying ‘try this’ and seeing how it works. They’re here for the long haul and want to see her succeed,” says Sandaker. For White, working at Nature’s Fare and Askews has been a great experience. She enjoys working in a bustling environment with her fellow employees and says she has a particular fondness for those popular smoothies at Nature’s Fare. White is also looking forward to getting more experience on the cash register and says her mom is very proud of her accomplishments. “It’s cool,” she says, flashing that giant smile and giving the thumbs up. 236-426-0031 In our new location! The Lumby & District Chamber of Commerce continues to welcome a diverse array of new members in 2019. We have a strong and involved Executive Board that is moving forward with exciting networking and community events this year. The Lumby & District Chamber of Commerce is continuing to build on partnerships with Village of Lumby and Regional District North Okanagan, nonprofit organizations and the business community to be a part of developing a strong economy in the area through our collective efforts we’ll bring a new kind of prosperity to everyone in Lumby, Cherryville, and Mabel Lake areas. One of our goals at the Chamber is to bring together businesses and people that will help shape the success of our community projects. The Chamber is looking forward to developing some new ideas as we look at our downtown business core and activities that support tourism and residents. We are excited to be able to have introduced a geocaching program to the community as well as partnered with the Village of Lumby and The Regional District North Okanagan on many projects such as a series of outdoor movies for both our residents and visitors alike. We worked hard in 2018 to capture some of the history of our Chamber and our Business community and look forward to encouraging businesses to do the same. With our history captured, we want 2019 to be a dynamic year for our Chamber Business Members. Collectively, our organization is working hard to be of a team providing economic development and leadership in the community. Lifestyle Naturals has always taken pride in providing customers with selection, service and quality. We have been trusted to deliver honest information and high quality products at fair value. Come in and speak to our friendly and knowledgeable staff and allow our team to guide you to making educated and informed health choices. We believe in building lasting relationships with our customers. We work hard to earn your trust and enjoy being a resource in your quest to seeking a healthier lifestyle. or have views of Kal Lake so we’ll pick a trail to show them that. Whatever they want to see, we’ll find the trail for them.” Jodoin started doing drop-ins with friends and guests on her weekend runs in 2007. She began the business in 2017. Her husband, Mike, came up with the name. “I’d say I’m going running with friends and he’d say ‘Oh, running with the babes,’ then eventually, ‘Oh, you bush babes,’” laughed Jodoin. Business has been good. Trail running clinics she puts on usually sell out. a poster in The Starting Block store in Vernon with a skull and advertising a 125-kilometre “Death Race.” Later this year, Jodoin will compete in the Sinister Series triple crown, three races three weeks apart from one another. The first two are in Alberta on July 6 and Aug. 3 and are 160- and 125-kilometres. The final race is 108-kilometres long, taking place in Kimberley on Aug. 24. Jodoin warmed up for the 2019 season by being the only Canadian woman to race at an event in Patagonia, Argentina, a 160-km event in the Andes Mountain range. She was the fourth woman to finish (18th overall out of a field of 360, 70 per cent of which dropped out) and was just nine minutes behind the thirdplace finisher. “There was snow, hail and 54 glacier river crossings,” said Jodoin. “The weather didn’t bother me, because I’m Canadian, until I fell in a river. I never warmed up after that. I was in first place (for women) when I fell in the river. “It was really cold. I was completely submerged. It wasn’t super deep so I sat in the river because I was so stunned. Another runner picked me up and it took 45 minutes to get to an emergency fire. My clothes were frozen to my skin.” A big fan of altitude training, Jodoin loves to run at Silver Star. She runs five days a week, averaging about 100 kilometres per week. The North Okanagan’s newest bare land strata subdivision featuring 2.5+ acre estate view lots! S E R V I C E T H AT M O V E S Y O U ! Fareed and Ziba have been proudly serving their customers in Downtown Vernon since 2003. The staff at Gold’n Time take great pride in their exceptional customer service. They design exquisite custom jewellery, including wedding and engagement rings. Gold’n Time also offers brand name watches, unique gifts and collectables. The homes range from 1,700 to 2,200 square feet and will be surrounded by parkland and a network of walking trails. The first phase of the project, with prices starting in the low $500,000s, is projected to have summer 2019 possessions. Check out the neighbourhood! With such a convenient location, you don’t need to go far to take advantage of the surrounding amenities. If you’re a golfer, the Vernon Golf and Country Club just down the road is one of five world-class courses in and Homes designed to match your lifestyle Infinity gives you a choice of layouts: contemporary around the city. And Silver Star Mountain Resort offers you West Coast-influenced three-bedroom ranchers with fantastic skiing, snowboarding and other winter recreation a stylish, maintenance-free exterior, and later on, activities just 25-30 minutes away. walk-up three-bedroom, three-bathroom townhomes. Each offers you options for entertaining or relaxing in You’re also close enough to utilize many of the City of peaceful luxury – animal lovers will be happy to hear the Vernon’s recreation facilities, no matter what the season. development is pet-friendly! Laying down roots with you in Vernon Aldebaran Homes has been involved creating homes in Vernon since 2005, working on a goal of building sustainable communities, with a focus on Middleton Mountain. With price points for everyone in the north Okanagan, Aldebaran aims to ensure their projects develop communities where people want to live and grow. To find out more about this latest project, book a time to speak with Matt Blaeser at the sales centre, call him at 250-309-2366 or go online to infinityinvernon.com to inspect the home designs, features and finishes. You can also follow Aldebaran Homes on Facebook and Instagram. new 2019 toyota rav4 its radical design paired with its refined driving dynamics and rugged capabilities open you up to a world of excitement while keeping you prepared for the demands of modern life. with the capable FwD, adventurous awD, and sporty hybrid, there’s a rav4 for every appetite to help push you to your limits. the 2019 rav4 allows you to see, embrace, and feel the unending possibilities that await you so that you can realize your full potential in every moment. proudLy serVing Vernon & area For oVer years! a few months. She said she thinks the lenses will do really well throughout the Okanagan. 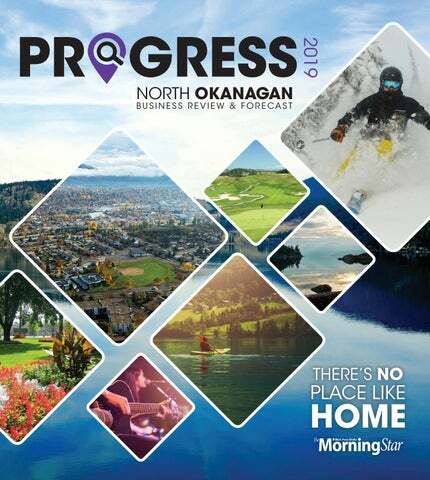 “I think it’s going to be amazing for this area because the summer is so long here and we get so much sunshine and there are all the outdoor activities like downhill skiing, mountain biking and the water sports, golfing, people who are going on long road trips and are passing through the Okanagan and doing wine tours—I think it’s going to be really popular here and I think it’ll take off.” Fit kits are also being offered so people can try the product for two weeks before buying a supply. Vernon Veterinary Clinic We offer complete in-house diagnostic laboratory services, providing same day results. Saturday, July 27, 2019 7pm Sunday, July 28, 2019 2pm Tickets available now! Contributed Story As one of the largest and most diversified gaming companies in Canada, Gateway Casinos & Entertainment would like to lend our support for the growing conversation on allowing sports betting for Canadians. Recently, we have seen Ontario Finance Minister, Vic Fedelli and Unifor National President, Jerry Dias confirm their support for allowing this choice and we would like to join with them in a call to make a small change to the Criminal Code that will generate a much larger return in terms of jobs, investment and customer experiences in Canada. For us, sports betting is a natural extension of the local entertainment destinations we strive to create at our properties in British Columbia, Alberta and Ontario. However, we also operate in a number of border communities where this issue is particularly important when you look at the competitive challenge that is facing us in the near future. Last year the U.S. Supreme Court authored a decision giving individual states the ability to legalize single-event sports betting in their respective jurisdictions. States like Michigan and New York are moving ahead to introduce this kind of customer experience that will no doubt weaken our ability to compete in border communities which impacts our employees as well. Gateway is committed to creating jobs and investing in local communities and expanding and supporting a thriving gaming industry in this country. We have already invested hundreds of millions of dollars and created thousands of new jobs across Canada by building new restaurants, casinos and entertainment venues. Letting these properties have the opportunity to offer sports betting will only increase these numbers and create more jobs and more revenue for federal and provincial treasuries. Canadians love their sports and they love to wager on them. The federal government has an opportunity to create more jobs and more investment in a growing industry while enjoying an additional source of revenue. We hope they embrace this opportunity given our US competitors are doubling down. Tony Santo is the CEO of Gateway Casinos & Entertainment Limited. Community Futures provides loans to help you start, expand or sustain your business. Drop in and meet Scot, our Loans Coordinator. Financial support and sound business advice…. We believe in your future! changing markets and demands of customers. Trevor and Lynella would like to give a heartfelt thank you to their thousands of customers who have supported them through the last 16 years that they have owned the business. Due to customers shopping locally and supporting ma and pa shops, Trevor and Lynella have been able to grow their business and have achieved many successes. New child care centre in Whitevale raising funds Morning Star Staff At a time when there’s a critical need for child care and in an area where employment opportunities are growing, a society is about to break ground on the Early Years Centre between Lumby and Lavington, and create spaces for 63 children—but it needs support raising half the construction costs. “This is an exciting step because we know how much the community needs child care right now and we’ve received such strong initial funding support,” says Roxanne Brierley, capital campaign coordinator of The Bridge Educational Society. The society, which established the Okanagan Waldorf School (formerly Cedar Bridge School), recognized an opportunity to give young families access to early childhood education on the same rural campus as the school. Driven by that mission, the society secured $500,000 in funding from the Ministry of Children and Family Development’s Major Capital Funding Program. An additional $250,000 will come from Community Gaming to build a daycare that will offer 63 much-needed spaces for infants, preschoolers and school-aged children living throughout the North Okanagan. Set to open in the summer of 2019, the non-profit centre will soon be home to 6,250 square feet of space housed on the same sprawling farm-forest property as the Waldorf School. The society is now fundraising for the remainder of the total $1.25 million construction cost with naming opportunities, donations and donations-in-kind. “There are tremendous benefits beyond parents being able to return to work knowing their children really get to thrive in a special learning environment,” says Brierley. “This benefits employment and the greater community long-term because we’re giving these kids such a great start and that will have a positive impact for years to come.” Rick Fairbairn, director of Electoral Area D with the Regional District North Okanagan, says the district is “thrilled that this centre will be opening in our area and fully supports what it will mean for the families in our community. We know that the society behind the child care centre strives to provide children with a great grounding that will set them well on the road to success in the future. This benefits the North Okanagan community as a whole.” The centre hopes to support families with parents working at a number of new and growing #B businesses in the area, including Vegpro International, Restoration Lands and others. musculoskeletal orthopaedic physiotherapy. Fairles, who has been practising for more than three years, specializes in craniosacral therapy and visceral manipulation, “which are gentle manual therapy techniques.” With the first week in the books, Mortenson said that anticipation is running high for the future of The Health Nest. “There’s a buzz about it,” Mortenson said. “People are getting excited because it’s a bit different.” Appointments can be made online through the website, www.thehealthnest.ca, and through The Health Nest’s Facebook page. For more information, call 250-307-9433. North Okanagan. With recent legalization of marijuana, there are three herbal/medicinal pot associated businesses. Some of the more unique businesses include: Backcountry Blooms Pop Up Flower Services, Blades of Lori Skate Sharpening, Crystal-Dawn Wildlife Taxidermy, Dogwood Records, Sweethoopla candy shop, Hoppichler specialty cheese boards and bowls made from wine barrels, Lip Impressions lip balm for customers to put their own labels on, Vernon E Ride electric bikes and Viking Tools mobile truck. There are two new non-profits: the recently opened Animal Auxiliary Thrift Store and the John Rudy Health Resource Centre. Two new childcare options have opened: Little Miracles Preschool (longstanding business with a new owner and location) and Sprouts Garden Early Learning Centre. Five new restaurants: Chopped Leaf, Harry’s Fish and Chips, Mary Brown’s, Arcadian Kitchen and Saucie’s New York Style Pizza and General Store plus the Hot Bread Shop and Rustic Sourdough Bakery and two food trucks: Classic Cravings and Shabbang Curbside Eatery offer an array of food options. Get inked at Crimson Oath Tattoo and Furhouse Tattoo Artist or poked at Flesh Body Piercings. Get your hair styled at one of the four new shops, including Thairapy and The Barber’s Daughter. We want to thANk our cuStoMerS and the business community for all the support. It’s the largest major gift the VJH Foundation has received. resection and greenlight laser vaporization of the prostate, and bladder tumour resections. “We are pleased to give back to the community and support important initiatives to improve healthcare through the Vernon Jubilee Hospital Foundation” said the donor. Westermark said thousands of people per year in the North Okanagan will benefit from this technology – saving and improving lives. The CommuniTy nexT To everyThing Barnard’s Village just steps away from shops, restaurants, café’s, spas, parks and walking trails. Homes specifically designed to minimize maintenance ensuring single level living at its finest so you can enjoy what is important to you; the Okanagan lifestyle. One Bedroom and Den to two Bedroom and Den homes from 888 sq. ft. to 1,421 sq. ft.
TH I N K B IG . community makes you. you make youR community. Start small, think big... ask how we can make your Business or Personal charitable giving dollar go further. Start your own named fund with as little as $1000 per year for 5 years, or give any amount at any time to our Smart & Caring Community Fund. Name the fund after yourself, your family, your business, or in memory of someone you love. The Community Foundation of the North Okanagan offers a variety of ways to make a difference in our region. By primarily distributing the income on endowment funds, we have granted over $6.5 million without touching the principal. Through our various granting programs, we are now giving away over $500,000 per year, EVERY YEAR, without depleting the original gifts. This unique model makes our funding a renewable resource. Many businesses and individual donors start a named fund and choose the charities they want to support. You are also welcome to utilize our expertise in helping to identify our communities’ most pressing needs.